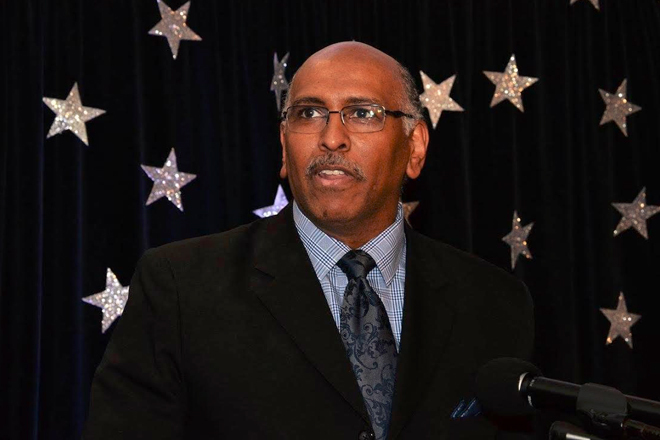 (SKNIS): American politician, MSNBC political analyst and author of the book “Right Now: A 12-Step Program For Defeating The Obama Agenda”, Michael Steele, has said that people are fed up with political establishments that talk loud but say nothing. In a riveting address at Prime Minister Dr. the Honourable Timothy Harris’ Annual New Year’s Gala on January 07, 2017, at the St. Kitts Marriott Resort and Royal Beach Casino, the first African-American chairperson of the Republican National Committee (RNC), lamented the global political state of affairs by using as his point of departure the American Presidential Election of 2016 that saw billionaire entrepreneur Donald Trump surprisingly and much to the chagrin of many emerge as President-elect of the United States of America. “What you saw play out in Washington D.C. and Wisconsin, and Maryland, my home state, Florida, all across the States, was something that you’re also familiar with cause we’ve seen it play out elsewhere around the globe, not just in 2016, but long before that, said Mr. Steele, the first African American to be elected to statewide office in Maryland, taking office as lieutenant governor in January 2003. “As citizens in various countries, various walks of life, have reached the point where they are sick and tired, and sick and tired of the political leadership that has let them down, lie to them, betrayed their dreams—and at a certain hour, at a certain time and a certain place in moment, they decide that they’ve had enough—whether it was the Arab Spring, whether it was BREXIT, whether it was the Tea Party, whether it was Occupy Wall Street—no matter the form and shape, the ideology, perspective of the movement, it reflected an attitude shift, a change in the way people began to look at their government,” said Steele, who was featured prominently in the news when he announced he will vote for neither Donald Trump nor Hilary Clinton because of his displeasure with the substance of the political debate. “They began to express more openly, more directly, the disappointment in the many men/women they had chosen to lead them and so they began to take action. They said we had enough and so what you saw over the course of 16 months across America, as we saw across Great Britain earlier in the year, was the end of the old game, the end of the status quo, the end of politicians talking loud and saying nothing as citizens upon citizens, neighbourhood after neighbourhood, community after community, said enough,” Steele added. “We’ve grown bored; we’ve grown angry, frustrated, and so they rose up…now what was interesting about all this was that the political establishments didn’t matter—Democrat, Republican, Liberal, Conservative, Progressive—didn’t matter—Tory, Labour—didn’t matter. (The) media completely missed it. They had no clue what was happening. They had no appreciation of the fact that people could actually rise up and exercise their franchise in a way that they had not before,” said Steele, 58, who holds a Bachelor’s degree in International Relations from John Hopkins University and a Law Degree from Georgetown University Law Center. He continued: “Recall the polls just before the BREXIT vote where it was supposed to have been a walkaway for those who said keep Great Britain in the EU (European Union). All the polls indicated it. The voices you heard and saw on television were saying it and yet what happened, the people got to vote and they did. They showed you a different mind. The same was true for America…two years of watching, waiting, anticipating and thinking you know what the outcome was going to be; by every newspaper, and television and radio account, Hillary Clinton was going to be the next President of the United States”, something that caught the world unawares as that expectation never materialized. Under Steele’s leadership as RNC Chairman, Republicans won 63 House seats, the biggest pickup in over 70 years. Steele’s ability as a communicator and commentator has been showcased through his current role as a political analyst for MSNBC. He has appeared on Meet the Press, Face the Nation, HBO’s Real Time with Bill Maher, Comedy Central’s The Colbert Report and The Daily Show. In addition to his work in television, Steele can be heard each week on his radio programme, Steele & Ungar on the POTUS Channel on SiriusXM.